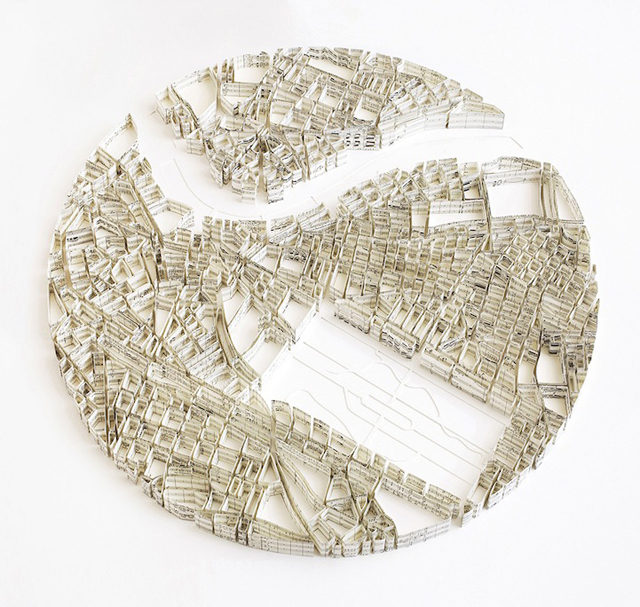 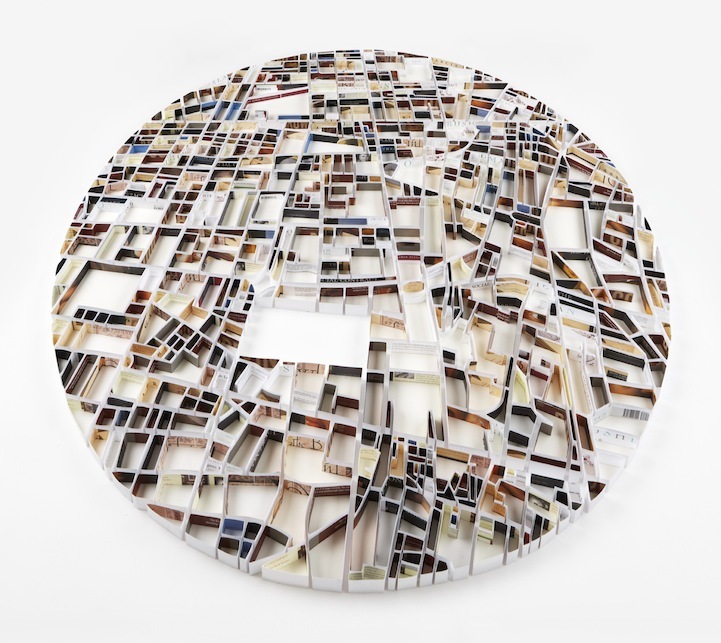 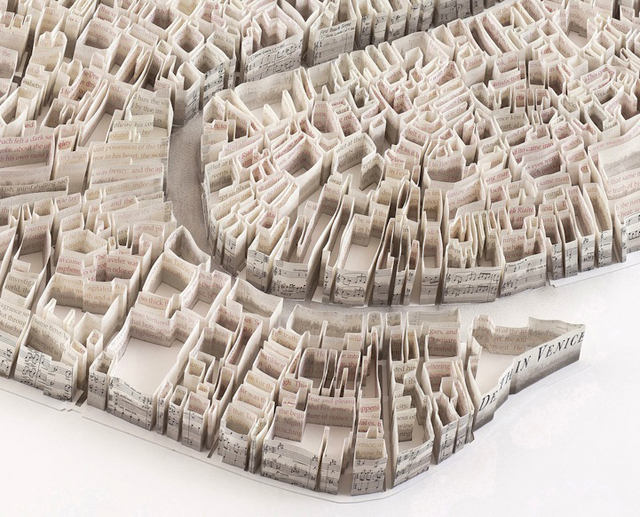 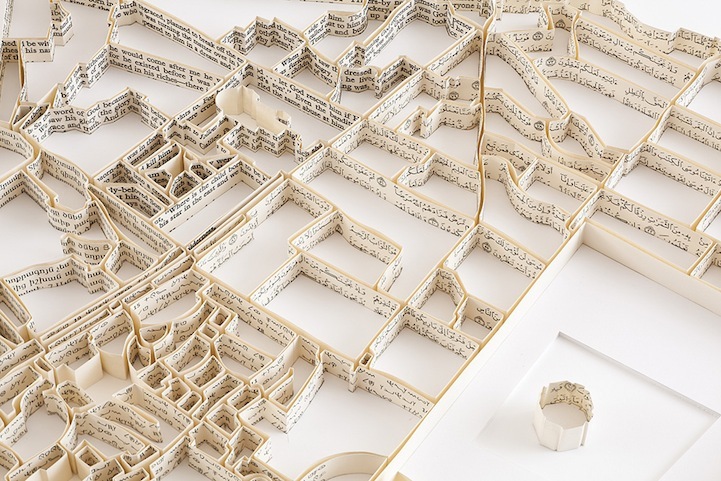 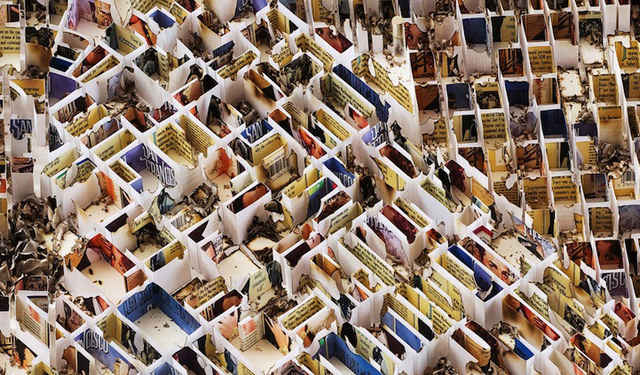 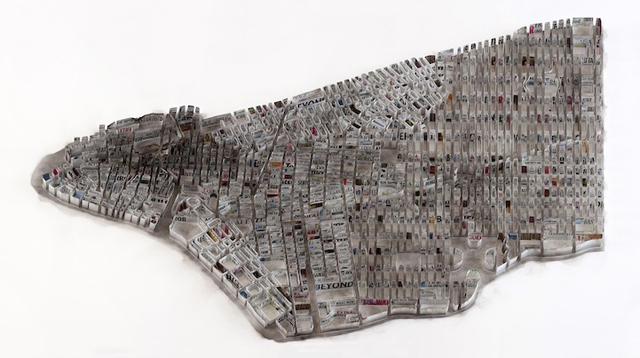 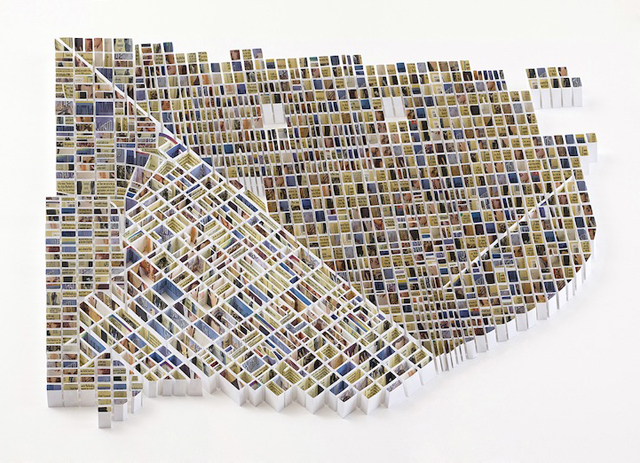 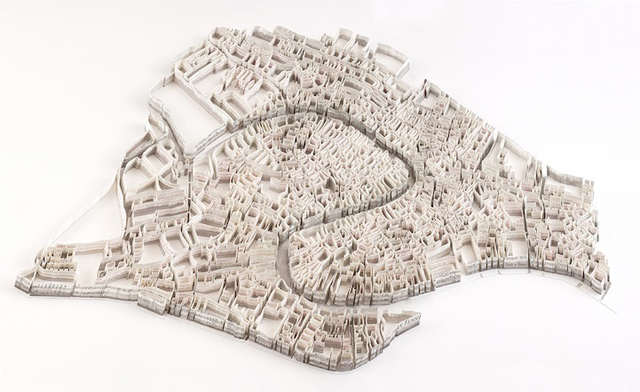 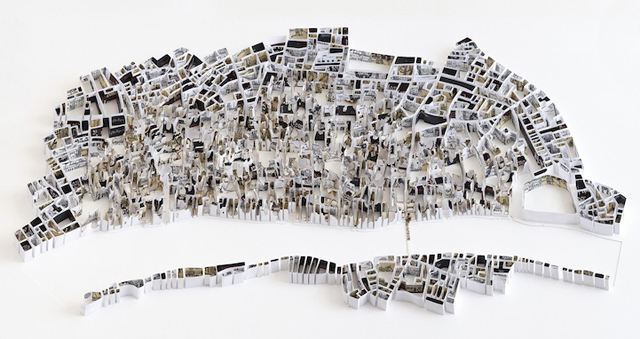 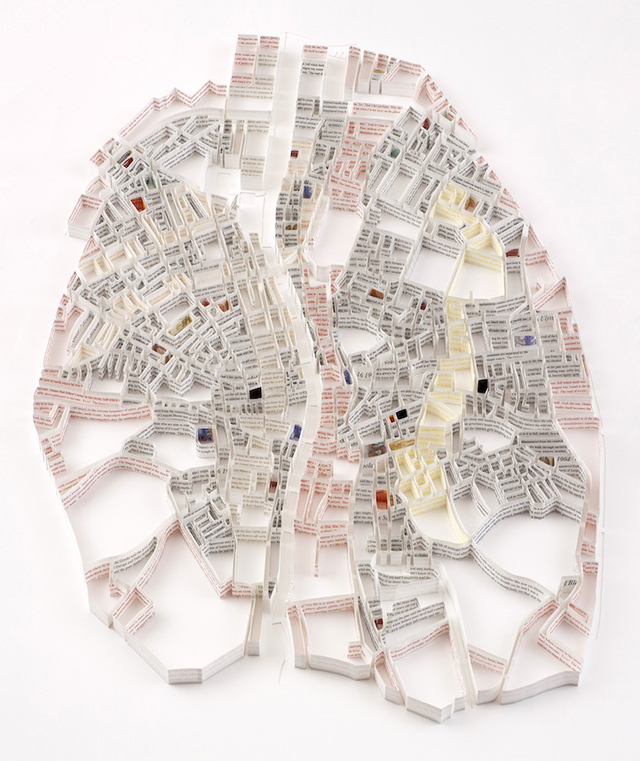 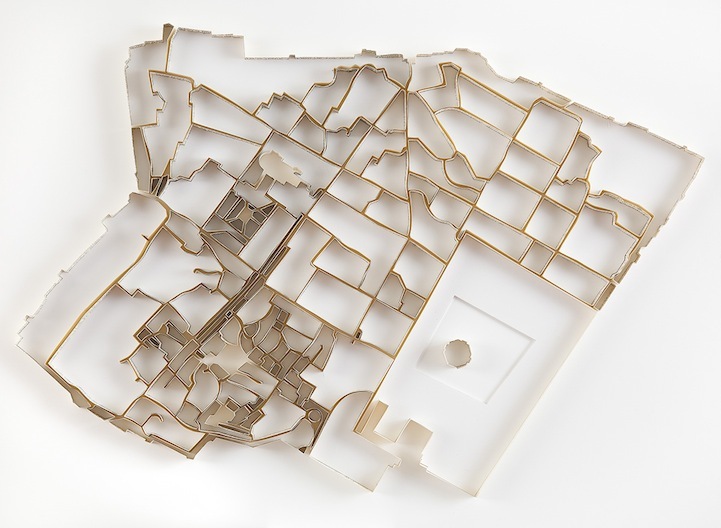 UK artist Matthew Picton maps famous cities of the world by creating paper relief sculptures, but not only topographically but emotionally. 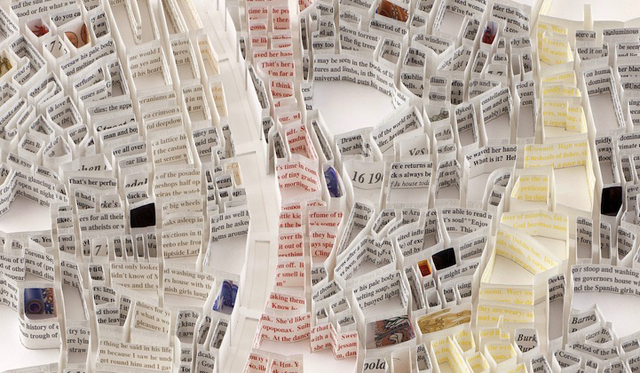 Choosing relevant texts, manuscripts, news and literature, there is a sense of understanding the place. 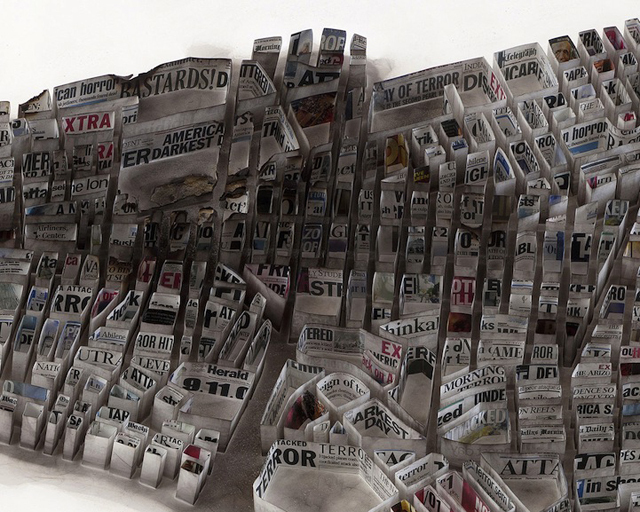 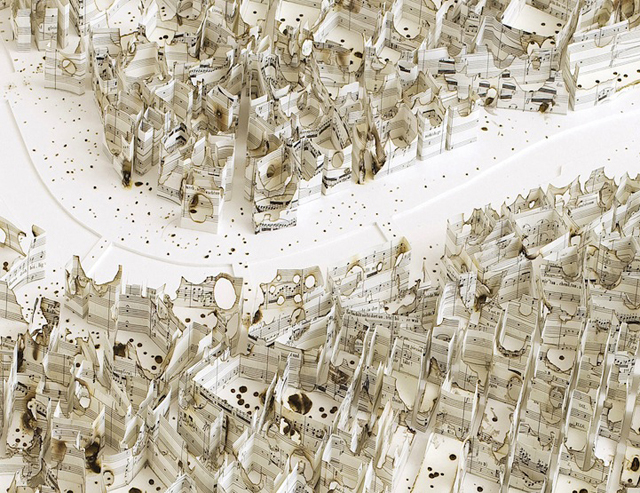 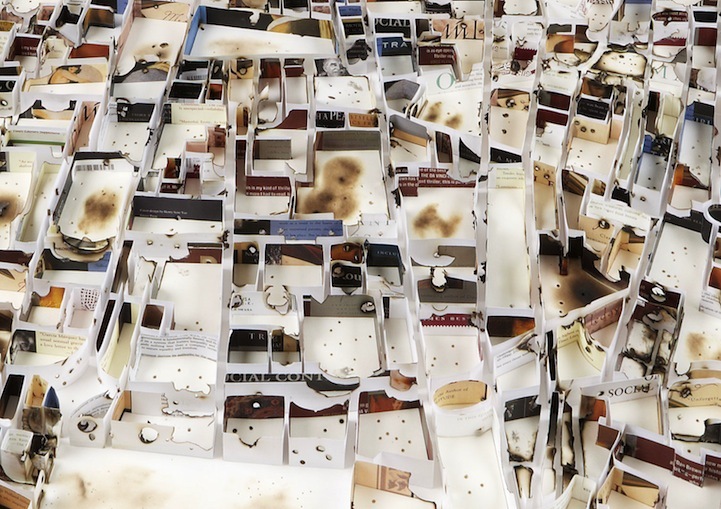 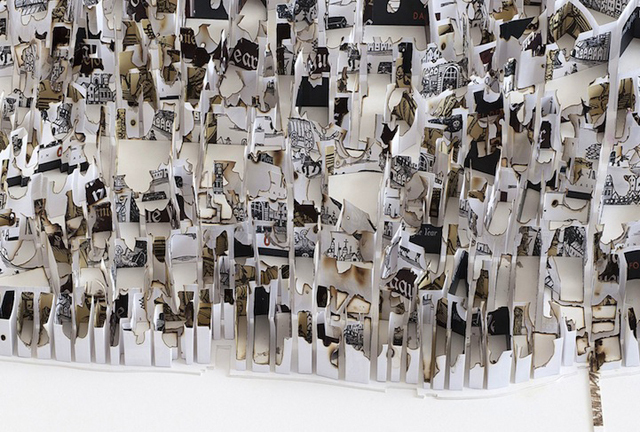 Another dimension is Picton's focus on disaster, shown by the scorching of the paper.